That Subaru STI RA model that was teased earlier this month is now official and the car looks pretty cool. If you are wondering the RA designation stands for Record Attempt. 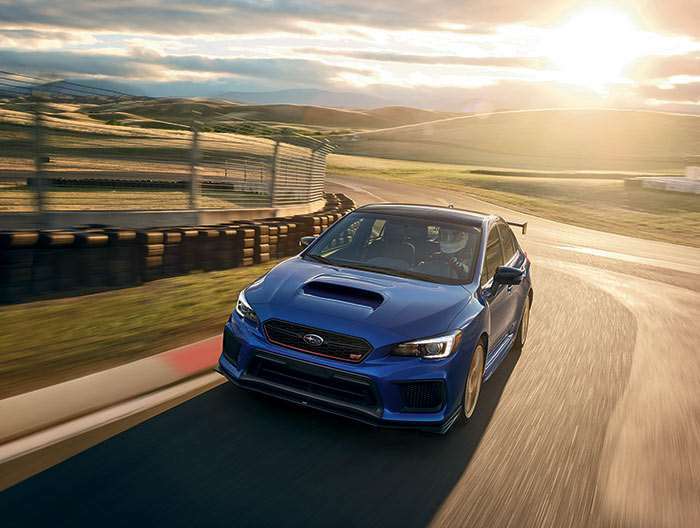 The 2018 WRX STI Type RA has an estimated 310hp and that power gain comes thanks to a STI cold air intake. The limited edition Type RA features a carbon fiber roof panel, no spare tire for weight savings, carbon fiber pedestal wing, forged 19-inch BBS wheels and 245/35R19 Yokohama Advan Sports tires. That extra power is also attributed in part to a retuned ECU and stronger pistons. The transmission is a 6-speed with a revised 3rd gear and short throw shifter. Handling is helped with Bilstein dampers, modified VDC, and Brembo brakes with 6-piston front calipers and cross-drilled rotors. Pricing and more details will be announced closer to launch. Only 500 will be made, expect big dealer markups.